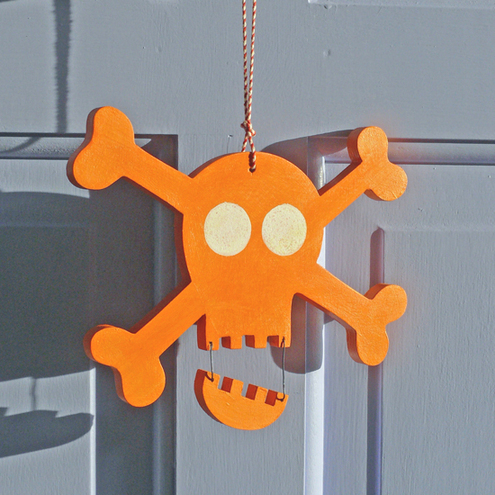 Folksy :: Buy "Brian Sock Dog"
Scare 'em aware with this handmade wooden skull decoration complete with waggly jaw. Other colours available. 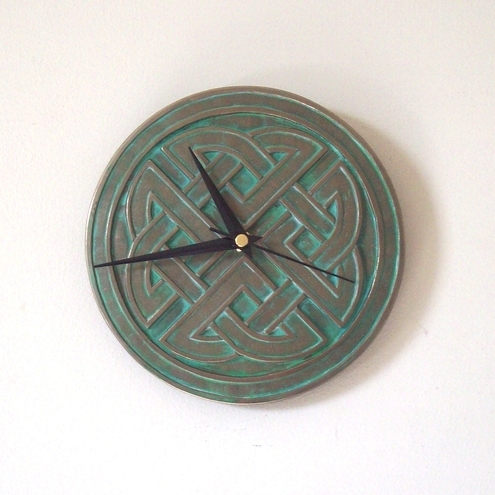 Folksy :: Buy "Celtic Wall Clock"
Small celtic wall clock with quartz movement. The design is taken from the Pictish stones in Meigle, Perthshire, hand carved and cast in bonded bronze with a faux verdigris patina. 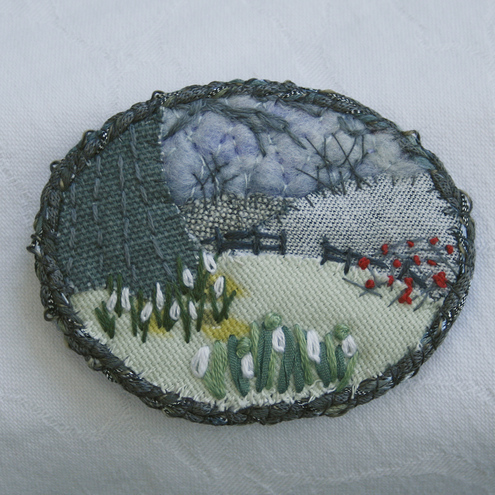 Folksy :: Buy "Winter Fields - Brooch"
A scene of greyness, fields, sky and tree, but with lots of interest from the bright red hawthorn berries in the hedge and the delicate snowdrops in the foreground. 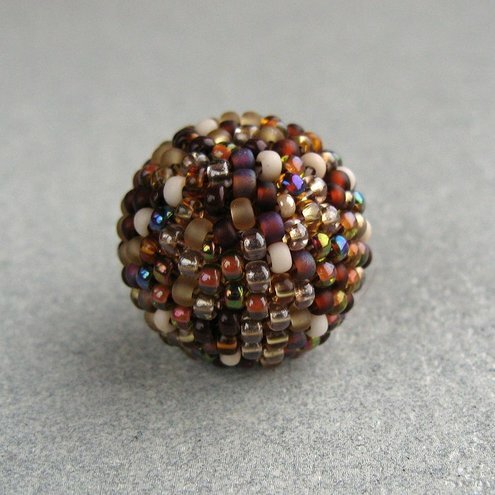 Using my own unique design I've woven tiny Japanese seed beads around a wooden core in a gorgeous autumn wheat mix, consisting of golden browns, burnt oranges and cream to create this gorgeous beaded bead. It would make an ideal focal bead for a pendant, necklace or bracelet! 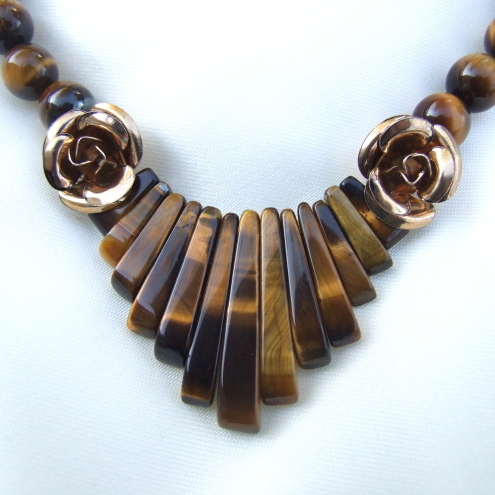 Folksy :: Buy "IN AID OF HAITI - Ruffle Apron"
Folksy :: Buy "Brooch, Fused fabric"
Folksy :: Buy "Tiger's Eye and Brass Roses Necklace"
Tiger's Eye Fan shape and beads are paired with 2 lovely Brass roses and strung on antiqued gold plated chain in this unusual statement necklace. Necklace Length 18 Inches. T-Bar Heart Closure. Folksy :: Buy "Narrow Scarf - Purple"
ideal for day and night too. If you Dare to be Different, don`t wait. 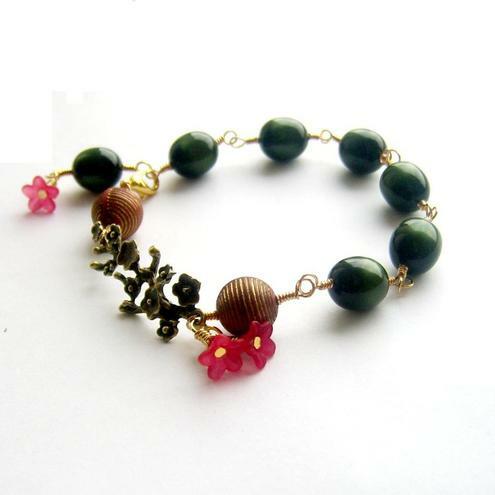 Folksy :: Buy "rose and aqua bracelet"
This pretty bracelet has been made with glass pearls and beads and has a silver plated lobster clasp. It measures approximately 18 cms. Postage will be by first class post and the bracelet will come in a pretty organza bag. I've mixed two of my favourite things together to create this pendant - florals and hearts! This fine silver heart is made from art clay silver, and has a gorgeous floral texture. It has been oxidized to enhance the texture, which also gives it a lovely vintage edge! A sterling silver bail has been attached to the heart and strung onto a sterling silver rolo chain. 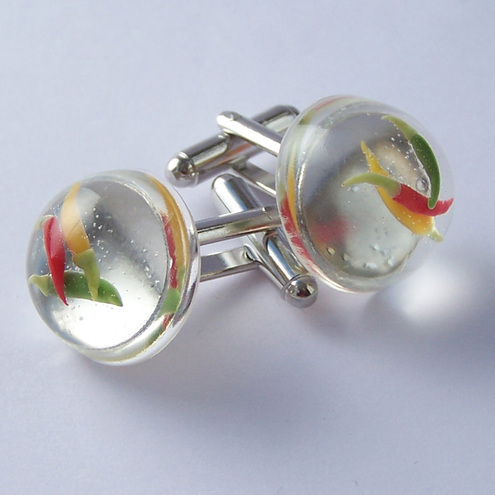 Tiny red, yellow and green chillis embedded in clear resin. These are mounted on silver plated cufflink findings. Perfect for anyone with a love of spice! Custom orders are more than welcome too â€“ if you would like something personalised or have an idea for an item youâ€™d like again just message me and we can chat! 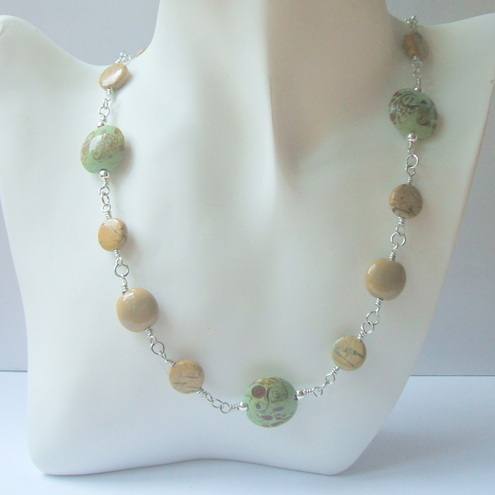 Folksy :: Buy "Big bold stones howlite and jasper necklace"